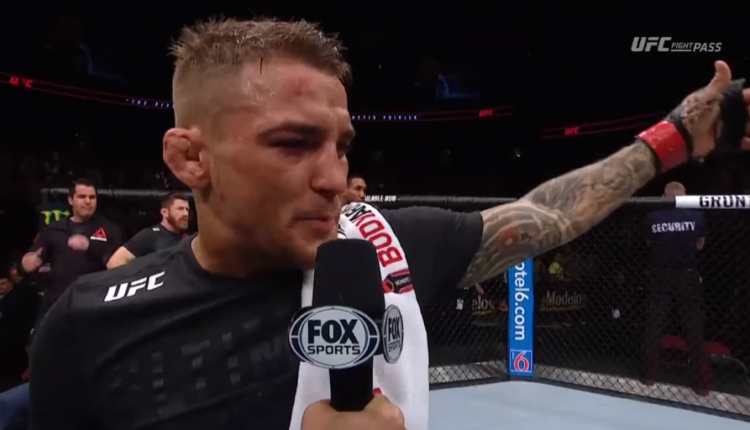 Dustin Poirier would add his fifth fight of the night bonus, to his TKO victory over Justin Gaethje at UFC on FOX 29 on April 14th. While Gaethje took the loss in Glendale, Arizona, he earned a $50,000 bonus, his third straight fight of the night bonus since joining the UFC. Alex Oliveira and heavyweight Adam Wieczorek also walked out with bonuses on Saturday night, as Oliveira earned his fourth fight night bonus with his submission win over Carlos Condit, as Wieczorek pulled a first round upset utilizing an omaplata on Arjan Bhullar in a preliminary fight.